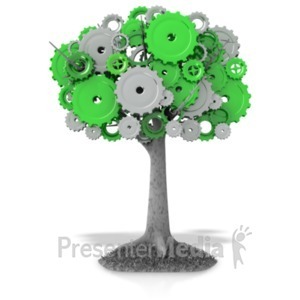 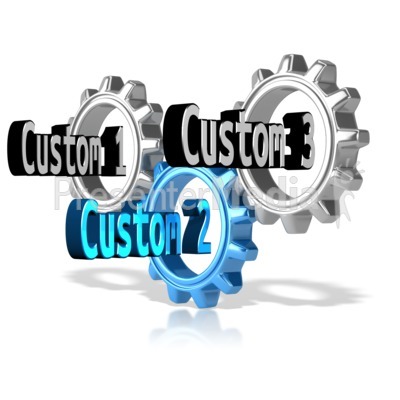 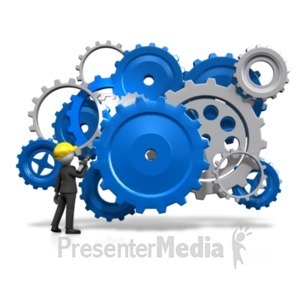 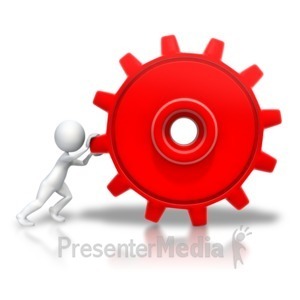 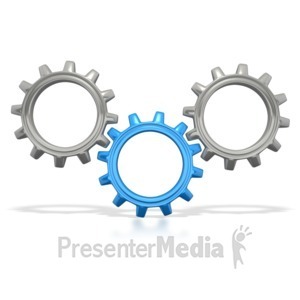 This clipart image shows three gears turning with the center one colored. 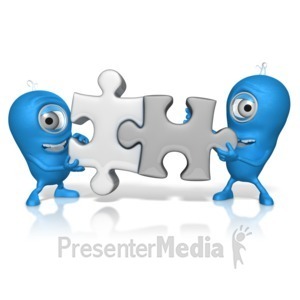 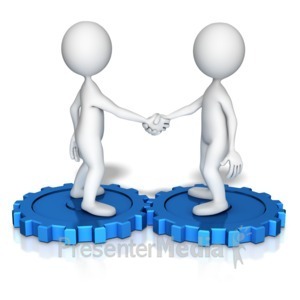 This clip art image could be used in presentations about staying connected, using teamwork, or generating a thought / idea. 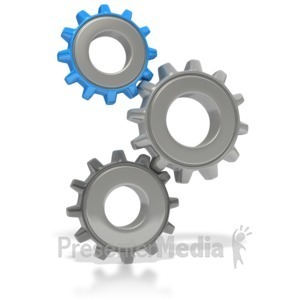 There is also custom text spots in all three of the gears.